This topic contains 5 replies, has 2 voices, and was last updated by admin 11 months, 3 weeks ago. All of a sudden, the Webform Data Field ID Dropdown is GONE. In the Field Map Designer, it only shows the field IDs for every Webform Data Field, but NO LONGER shows the name, just the ID. AND there is no dropdown so I can choose other webform fields. It only allows you to type in the field ID. THIS IS NO GOOD FOR ME. Previously, it was working fine, I was able to use the Webform Data Field ID Dropdown and map all the fields. 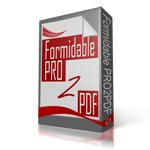 What I’ve done is updated Formidable to use the latest, then I made some updates to the webform fields and to the PDF. So then I went in and removed the old PDF and uploaded a new PDF. Then I noticed the field map that came up ONLY shows the field IDs and there is NO dropdown. What is going on?? This is totally unusable. Do I have to delete the field map and start over? I was told in another post that I could remove a PDF and upload a new PDF and I would not lose my mappings. I have about 200 fields, so for me to start from scratch is a BIG no no. I need answer asap, need to know how to get the Webform Data Field ID Dropdown to show up again. You do not need to remove the old PDF, only upload the revised PDF with the same file name which will overwrite the old PDF. Complete this form if you would like us to take a look at the installation, or upload the exact same PDF to us for review here. never mind. It took several minutes to refresh then the dropdown showed up. Actually it is still a problem, I just submitted a ticket for support. My original mapping is messed up, the dropdown for the fields is gone, only shows Field ID. I cannot see the name of the field, and there is no dropdown. What I did was I had to RECREATE the field map all over again, and basically lost all the work I had done. This is very frustrating, after hours and hours of work, when I upload an updated PDF document it destroys your mappings and may have to start from scratch. This is NOT GOOD. It should not do this, I need to know what is wrong to avoid in the future. I figured it out. The problem is that I changed the name of the PDF. So I removed the existing PDF and uploaded a new PDF with a different name (same mappings, just renamed the file). So it seems you cannot change the PDF name, else it messes things up. You CAN change the name, but then you MUST select the new PDF from the “Select PDF file to work with:” dropdown field on the field map layout, then save the field map layout.